Your domain name, xxxxxxxxxxxxxxx.COM, has been suspended after Go Daddy received complaints from Internet users that they received unsolicited email messages (aka spam) from you. 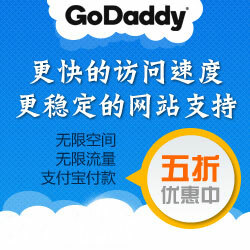 - The telephone numbers you submitted when you set up your Go Daddy account, The numbers were not valid. It appears that the complaints we've received regard off-topic or unauthorized newsgroup posts entitled "Download registry cleaners " a copy of one of these posts submitted to the microsoft.public.windowsxp.help_and_support newsgroup is provided at the end of this message. Each individual newsgroup has its own set of rules or set of acceptable posting practices. Many groups do not permit advertising, promotional, or traffic solicitation posts of any kind. Some groups will allow these types of posts providing they are specific, or "on topic", to the subject of the group. Another common practice that generates complaints is posting the same message to multiple groups, also known as "cross posting". Again each group governs "cross posting" according to their own policies. Please keep in mind that it is not our intention to cause anyone's business to suffer and we do appreciate your cooperating with us on this matter. Because of your cooperation and willingness to resolve this issue thus far, your services have not been interrupted, but this situation remains unresolved. Please be aware that Go Daddy will continue to monitor this situation. If after you commit to ceasing this activity it is determined that this problem persists, your domain name may be immediately redirected and your service suspended. We realize additional complaints resulting from the posts you have just committed to stop may come in and we will of course consider this, and contact you before taking action. * PLEASE NOTE: If you do not follow one of the options outlined above your domain name may be immediately redirected and your service suspended. All these same problems i was also facing in old days. But i have spam free computer with fast speed and this would happen only when i have used best registry cleaners from http://www.xxxxxxxxxxxxx.com Check the above link and download registry cleaners and make your pc speed fast. Thank you for your cooperation, please let us know what option you decide to take. If you wish to discuss this situation via telephone Go Daddy's Spam and Abuse Department can be reached at 480-624-2505. GMT+8, 2019-4-23 01:57 PM , Processed in 0.171776 second(s), 26 queries .